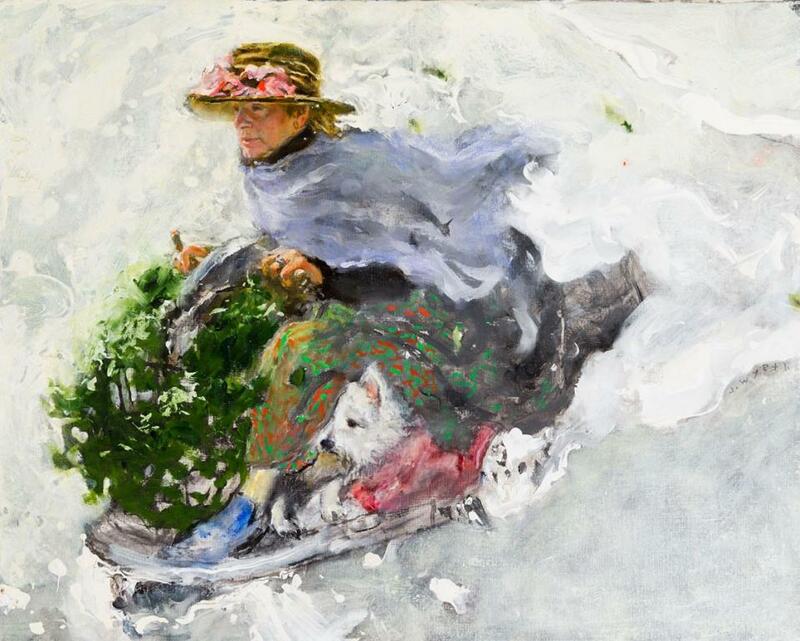 From the late 1960s onward, Phyllis Mills Wyeth (November 13, 1940-January 14, 2019) was a muse to her husband, artist Jamie Wyeth. The selection of paintings assembled in this exhibition are a memorial tribute and reflect Phyllis Wyeth's vibrant spirit and love of nature, horses, and her ever-present dogs. Phyllis Wyeth was an early and major supporter of the Brandywine Conservancy & Museum of Art and served on its board of trustees from 1967-1971. In addition to her work with the Brandywine she was a noted philanthropist, conservationist, environmentalist, arts supporter, accomplished horsewoman and a staunch advocate for the rights of the handicapped and disabled.